A Cathay Pacific A330. Photo: Cathay Pacific. 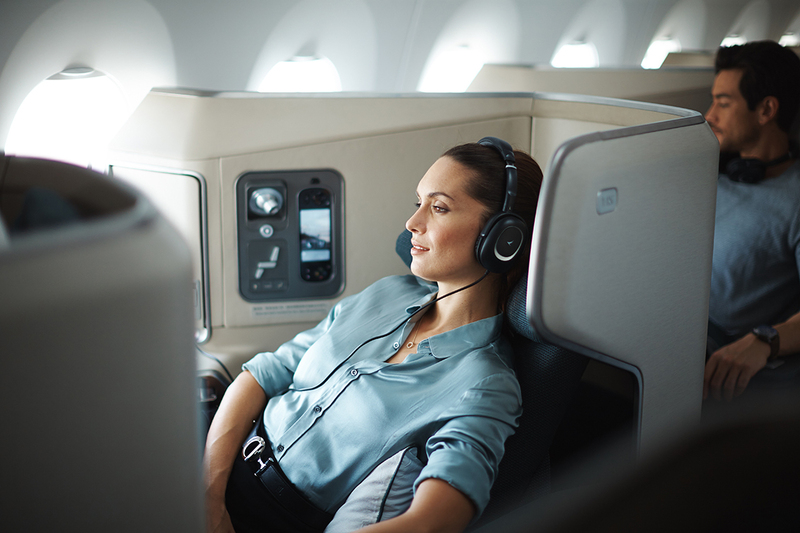 Cathay Pacific is beefing up its network in Europe, the US and China as it offers passengers from Australia more options than ever before. The Hong Kong carrier is no stranger to Australian shores — its long-standing relationship began in 1946 when the airline’s founders, Australian Syd de Kantzow and American Roy Farrell, flew into Sydney in a DC-3 called Betsy. Today, it has over 70 flights a week from Sydney, Melbourne, Brisbane, Perth, Adelaide and Cairns with excellent connections to a network of more than 200 destinations over its Hong Kong hub. This year sees a flurry of new non-stop routes from Cathay’s Hong Kong base to interesting new destinations such as Brussels. , Dublin and Copenhagen, bringing the number of directly served destinations in Europe to 13. The new routes are part of the carrier’s strategy to expand its network using next-generation aircraft such as the Airbus A350 and, when it arrives early next decade, the Boeing 777-9X. The A350 features Cathay’s newest seats and cabin design, including 38 lie-flat Business Class seats with direct aisle access and plenty of space as well as 28 Premium Economy Class seats with a 40-inch seat pitch. The new European routes follow the airline’s move in 2017 to start new services to Tel Aviv (five times weekly) and Christchurch (three times weekly). It also started a seasonal service to Barcelona. Already underway from the 2018 roster are four-times-weekly flights to Brussels and a move to ramp up Barcelona to four-times weekly flights using A350-900. Dublin starts June 2, also four times a week, while three-times weekly flights to Copenhagen started May 2. Early morning arrival times at European destinations allow travelers to arrive rested and ready to explore. The expanded European network meets customer demand for non-stop travel while giving European passengers better access to key destinations in Asia and Southwest Pacific, according to Cathay chief executive Rupert Hogg. “These are all fantastic destinations and attract business and leisure travelers from the world over,’’ says Hogg. “We listened to our customers’ demands for more options and greater flexibility and have responded by building direct air links with these great cities. In the US, Cathay will start direct services to Washington, DC, for the first time using its new Airbus A350-1000s. Cathay Pacific Business Class on the A350. The service to Dulles International Airport will be the longest in the Cathay network at 7,085 nautical miles (8,153 miles or 13,122kms) and is again part of a strategy for next generation aircraft. “Much like Hong Kong, Washington DC is a vibrant and dynamic destination and we are thrilled to soon be providing the only direct flights between these two great cities,’’ says Hogg. The new Washington route will complement existing routes to the East Coast, including Boston and New York’s two main international airports – John F Kennedy and Newark Liberty. It brings the airline’s North American destinations to eight, including two in Canada and the airline’s renowned trans-polar flight between Hong Kong and New York. Also in the pipeline for 2018 is a seasonal service to Cape Town. Meanwhile, Cathay Dragon has been boosting its already impressive network into China with new services to Nanning from January and Jinan from March, both operated by two-class Airbus A320 aircraft. 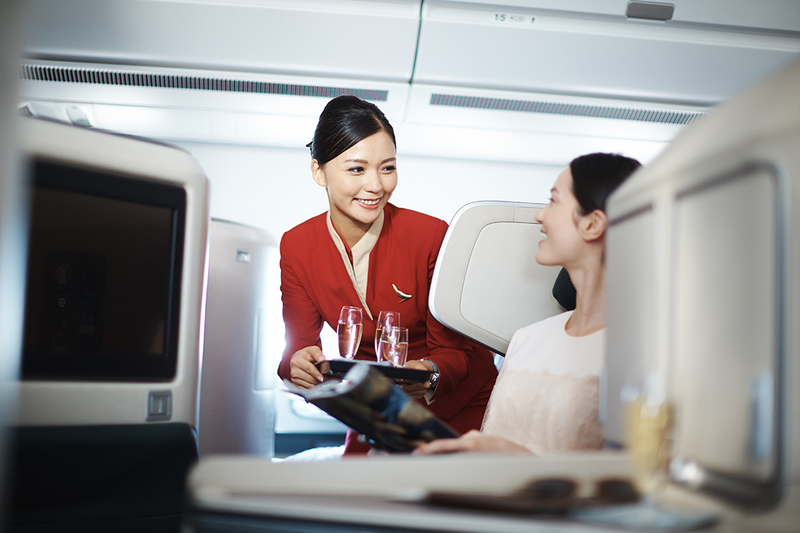 Cathay Pacific chief customer and commercial officer Paul Loo says the airline is committed to expanding its Chinese network. “Our aim is to always provide our customers with the highest level of products and services – both on the ground and in the air – and to offer greater convenience and a superior flying experience,” he says. Following this is also the most recent announcement of a new four-times-weekly service to Davao City in the Philippines and a three-times-weekly service to Medan in Indonesia, both launching in October. 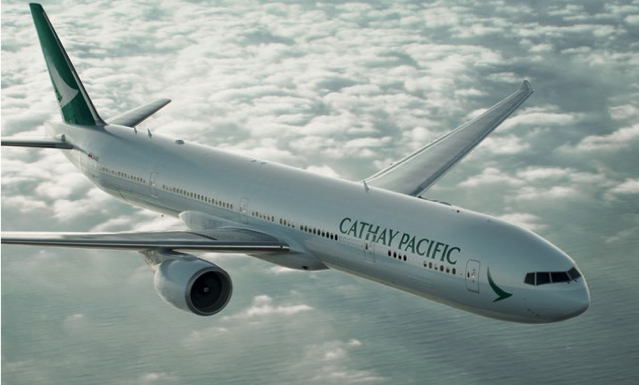 This brings the total number of new destinations across Cathay’s global network to nine this year, a record expansion for the Cathay Pacific Group. Previous articleVideo shows Asiana A330 taking out A321’s tail.